Mike Ward joined the College of Education Board in 2013. 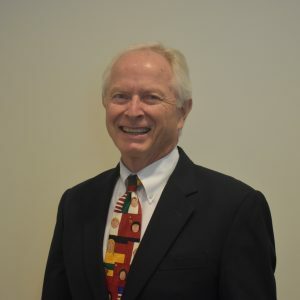 Mike is a three-time alumnus of NC State University, holding a doctorate in educational administration, a master’s degree in occupational education, and a bachelor’s degree in vocational/technical education. He spent much of his career as a public school administrator, culminating with service as the North Carolina State Superintendent of Public Instruction from 1996 to 2004. Since then, he has been an educational consultant and a professor of practice at NC State University. Mike is passionate about providing scholarship support for teachers. He and his wife, Bishop Hope Morgan Ward, created the Ward Family Scholarship Endowment to support individuals seeking to become teachers; the scholarship is an expression of gratitude and an effort to pay forward the blessings the Wards received from their own wonderful teachers in public schools and universities. Mike also works on hunger relief, and serves in short-term mission projects around the world. Recently he has focused efforts on hurricane relief and research, including helping to lead efforts with Florence Aid to Students and Teachers of North Carolina (FAST NC). Mike enjoys running, sailing and listening to music. He and his wife have two grown children and three grandchildren.